Originally written as a Facebook posting to my Facebook friends…. Indeed all the signs of a new independent state that will soon fly it’s flag in the forest of flagpoles beneath the high rise headquarters building of the United Nations are there. As always utopian and dystopian visions are oscillating in the wind of times to come, like state flags and coins do have two sides. We, the ones that perceive ourselves as citizens of the world try to carve within this global message network our own shared space, beyond all borders, instantly without bodily traveling. It is also us users of this network that not only feel, but know we are spied on all the time, mostly for reasons of direct profit of the upper class of the Facebook nation, sometimes as well by secret services of the traditional national states and the supra surveillance bodies they have created. I invite my readers to read the whole article and give the questions raised in it a thought, a thought beyond the too obvious superficial conspiracy phobia. [direct link at the bottom of this posting]. Can one say that in the sense of media theoretician Marshall McLuhan, “the medium has become the message”, that the phenomenon of ‘social media’ is just a means in itself for message traffic – whatever it’s content – in the end only serving Big Brother control mechanisms and the insatiable hunger of global profit making molochs like Facebook? I refuse to see it that way, there is a positive sense as well in such global networks, the oportunity to keep abreast of what friends nearby and far away are up to, to make new friends, to admire, to like, to dislike, to quarrel, to lose friends, all that being social acts, not in real but in electronic space. The medium is what we are able to formulate and make of it! Technology is always an expression of existing social-relations. Technology appears to many as a major agent of change change in society. In my view the role of technological innovation is less fundamental. New technology tends to amplify the existing social relations, the power structures in a society… one can recognise that observation through the whole of time. So the sovereign nation of Facebook, LET’S FACE IT, is only momentary, new post-national-electronic communities will arise, both on a micro and a macro level and combinations thereof… It is to us to come up with ideas , to resist the misuse, and meanwhile also to enjoy being able to do what I just do here at the moment, sitting at my desk, writing and knowing when I press the button it may be read by others, it may have some impact, be it not more than an electronic space butterfly effect. 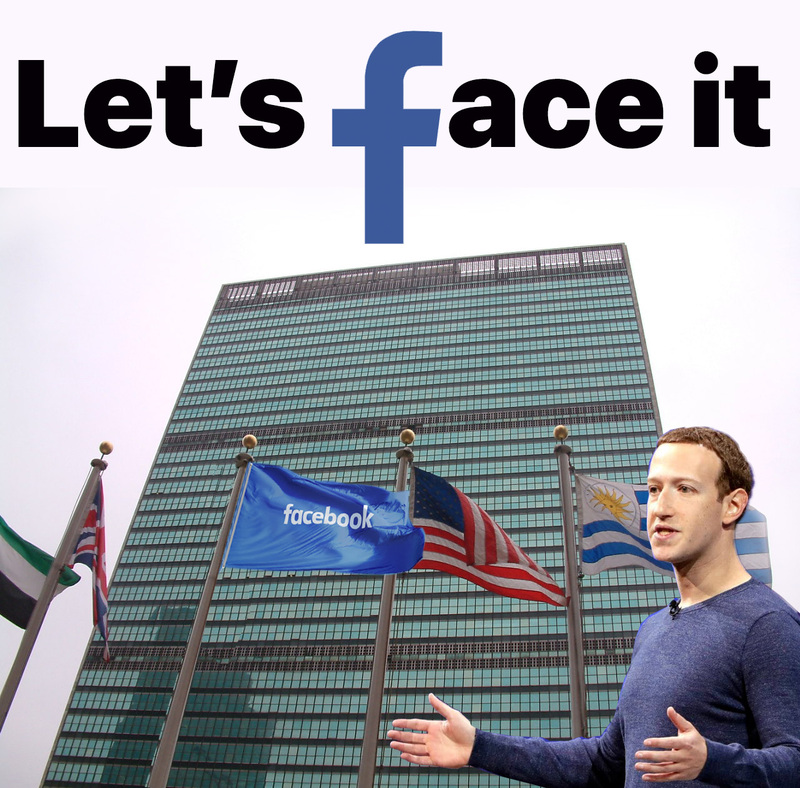 Facebook is not here to stay forever, like states are not, such supra structures seem to be solid, but over time their structures ossify, get brittle and crumble… fall apart… forming the breeding ground for new forms of social association. The study, titled The Welfare Effects of Social Media, from researchers at Stanford and NYU, is being praised as one of the most rigorous to look at what happens to people when they log off. Logging off seems to be as positive as you probably expect it would be, leading to increased subjective wellbeing, less political drama and attention span agitation, and increased time spent with friends and family. On the other hand, it also led to a decrease in awareness of the news. Although, to be honest, that sounds pretty nice too. To track social media’s effects, the researchers recruited 2,844 Facebook users, then randomly assigned half of them the task of temporarily deactivating their accounts for a month. To ensure compliance, subjects were paid for their efforts, and their accounts were monitored to make sure they weren’t scrolling their timeline on the sly. The authors checked in with them regularly via text to see how they were feeling during the cleanse. “Deactivation caused small but significant improvements in wellbeing, and in particular on self-reported happiness, life satisfaction, depression, and anxiety,” they concluded.